MOBIS is a participatory project conceived and developed for the postwar Foxhill housing estate in Bath. Foxhill is an area undergoing great change. Mulberry Park, a new mixed-use development including 700 new homes, a community centre and primary school is currently being built on a site adjacent to Foxhill. 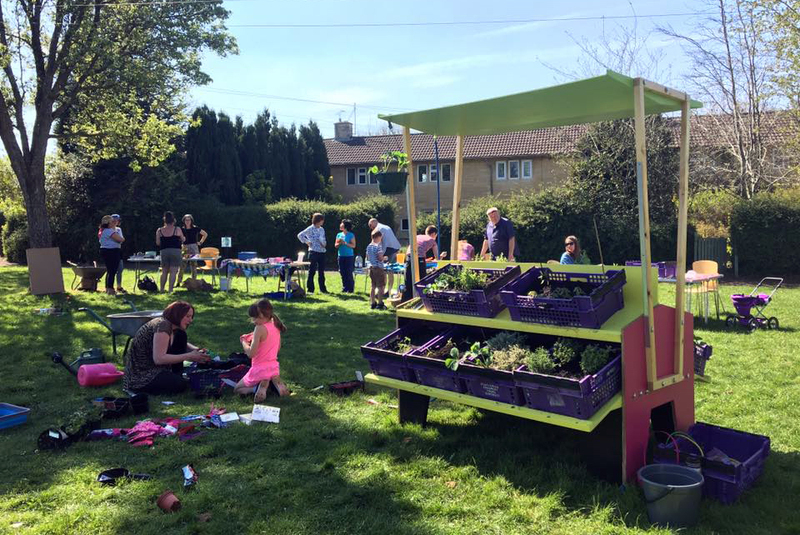 MOBIS' aim was to activate the existing green spaces on Foxhill estate through the development of a temporary community garden and to encourage social interaction during a difficult transitional period. 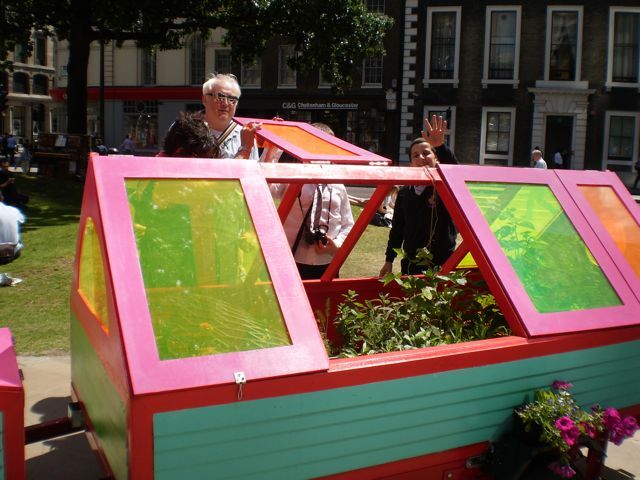 MOBIS consisted of two growing kiosks, incorporating a canopy for rainwater collection, and shelving for the storage of mini allotments (made of purple plastic crates recycled from a local dairy). The mini allotments were cared for on the kiosks as well as adopted by local residents in their own homes. 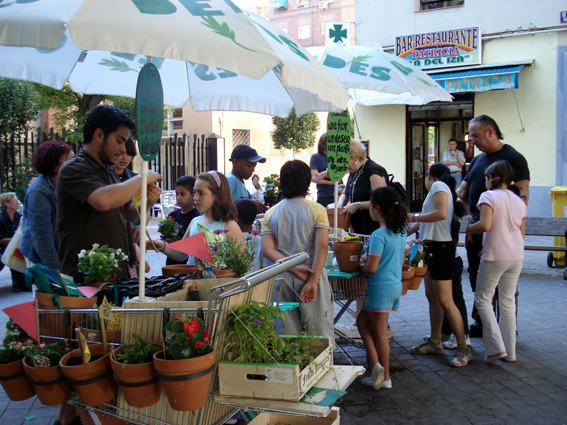 The kiosks became small-scale outdoor venues for activity, and enabled the artists to meet local residents who have come along to events held at MOBIS. 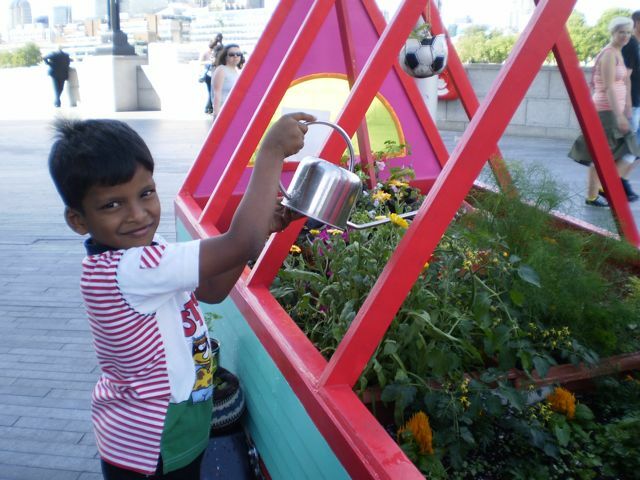 Residents also helped to water and care for the plants, fill watering cans and even make cups of tea! Events held at MOBIS included a seed swap (an event held in collaboration with local gardening organisations), family-friendly workshops including cyanotype photography, ice cream- and bath bomb-making and a mini zen garden making workshop. Community activities focused on the enjoyment of the green space and its endless possibilities including hosting free 5-minute massages for local residents and outdoor yoga for families. 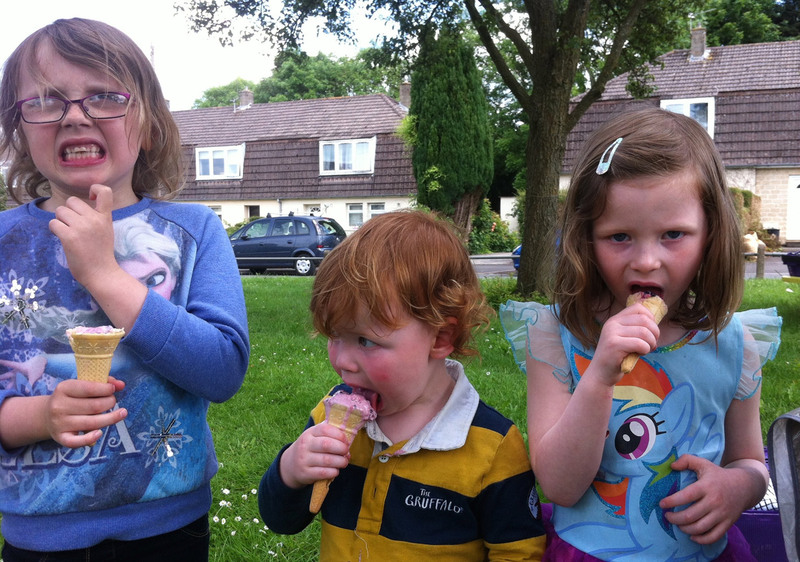 Ice Cream Making Workshop using natural ingredients foraged or grown in the garden. Huert-o-bus was a project commission by Madrid Abierto. 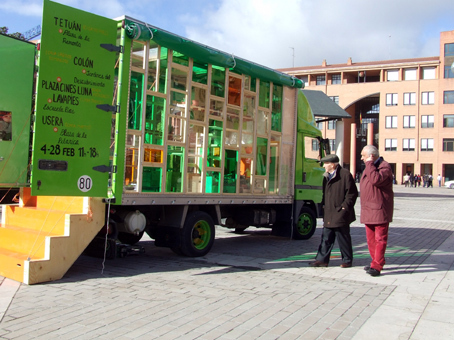 Huert-o-bus is traveling greenhouse that visited four urban squares (plazas) in distinct neighbourhoods around Madrid (Lavapies, Colon, Usera and Tetuan). Each location was visited the same day of the week for a period of four weeks and shared similar characteristics of being completely concrete and devoid of any green elements. 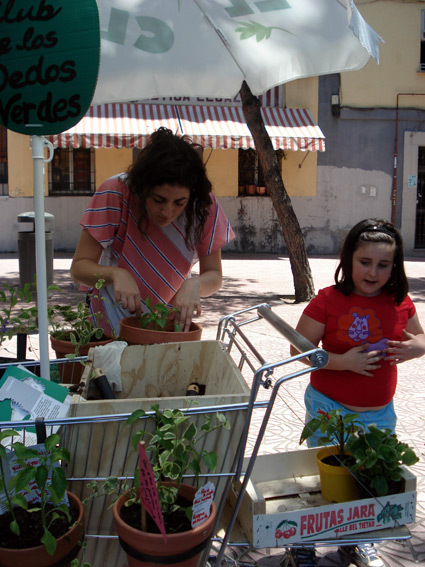 Huert-o-bus invited neighbours and passers-by to plant seeds (herbs and vegetables), help care the garden and participate in various community events (such as communal lunches and discussions). Once the seeds had germinated, owners were able to take their plants home as well as others were donated to the local urban gardens, elderly residential homes and schools. Huert-o-bus intended to expand the possibilities of public spaces within our everyday, urban environment, using the language of the city (truck/cars, traffic) to create a mobile greenhouse/vegetable garden where local residents could meet, plant their own food and interact without infringing on existing land usage or regulations. 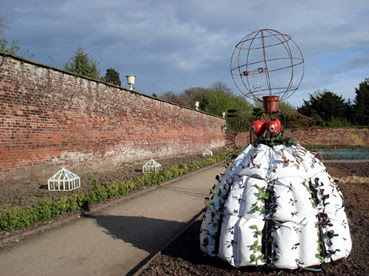 Each sculpture was placed within a raised growing bed acting as a windshield to protect the plants from the harsh weather conditions in the local area, as well as a temporary extension of the garden. Summer Palace invited a variety of local artists, community groups to exhibit within the sculpture's various windows. It composed of a series of six wooden sculptures that were made from one solid Black Ash tree, local to the south of England that had fallen down during a storm. Mobile Allotment was sited on Nightingale Estate 2009 (Woolwich, London) and Oaklands Primary School 2010-11 (Bethnal Green, London). 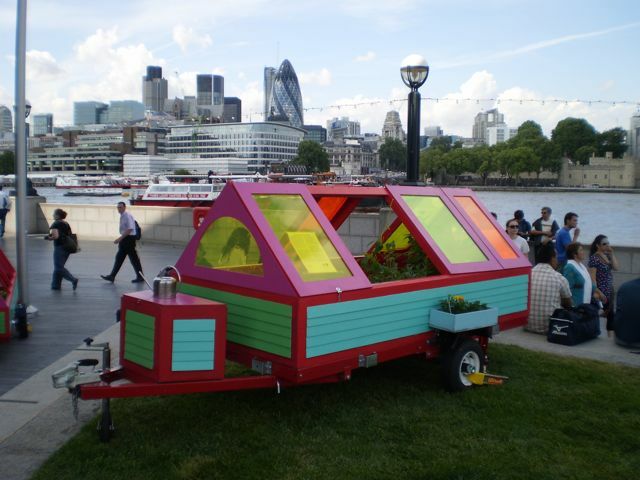 In addition, Mobile Allotment travelled to various Green Fairs and Festivals including Hackney Wick Festival (2009), Barbican (2009), the Thames Festival (2010), the Mayor's Office (2010) and the City of London Festival (2011). 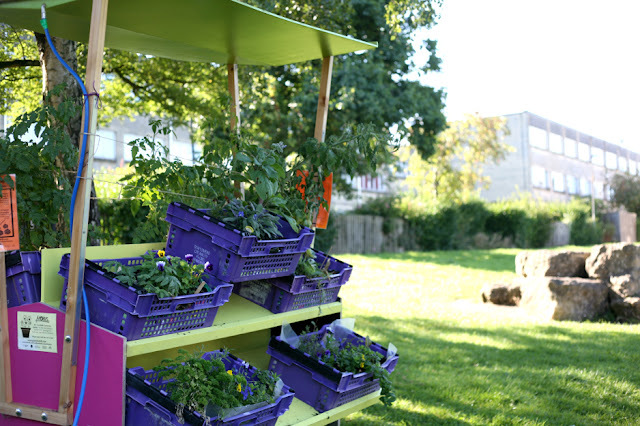 Mobile Allotment is a mobile, temporary vegetable garden that was first installed on a green space within Nightingale Estate. It is composed of two units acting as a raised bed and a greenhouse on wheels. 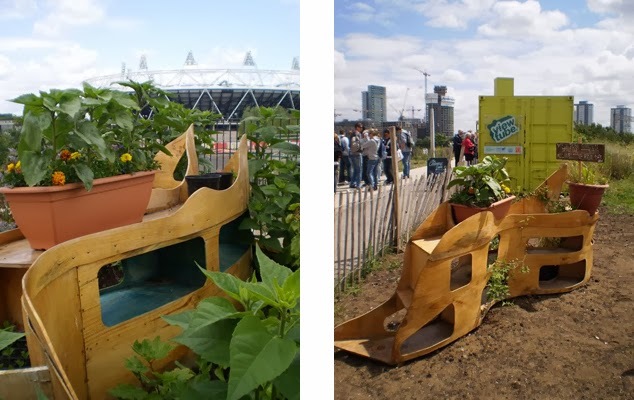 It invited the local residents to plant and tend a temporary vegetable garden on a green site that was partly neglected and underused. Residents helped to install the garden and during the course of the year, created an additional two more raised beds which they successfully obtained permission and funding from the local council to maintain on a long-term basis. Regular gardening sessions as well a series of garden-related workshops, activities and fun events complemented the community garden. 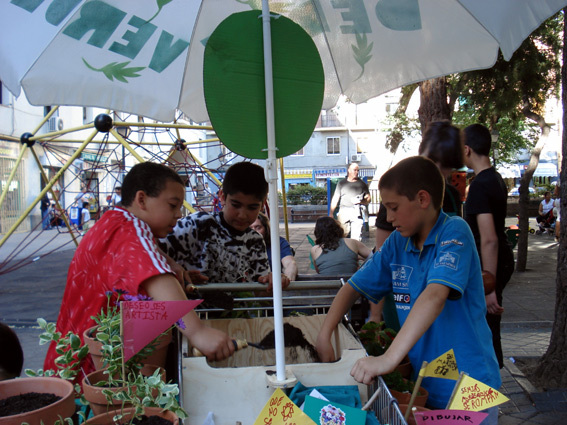 In addition, Mobile Allotment travelled to various outdoor festivals showcasing the residents' garden. 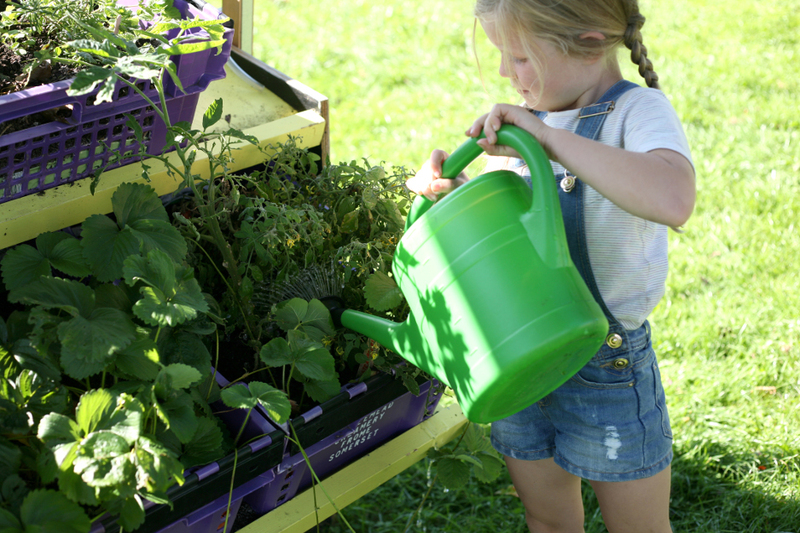 In 2010-11, Mobile Allotment moved to Oaklands School where Special Education Needs children transformed it into a Sensory Garden for the whole school to enjoy. 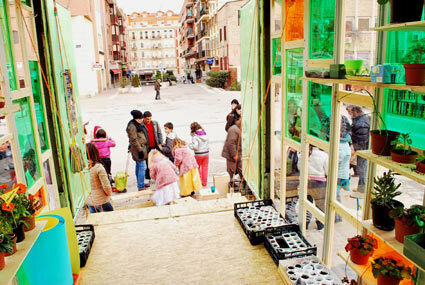 El Club de los Dedos Verdes, Commissioned by Intermediae, Madrid, invited the neighbours of Legapzi area to help plant flowers for a community garden as part of Avante Garden at Matadero. 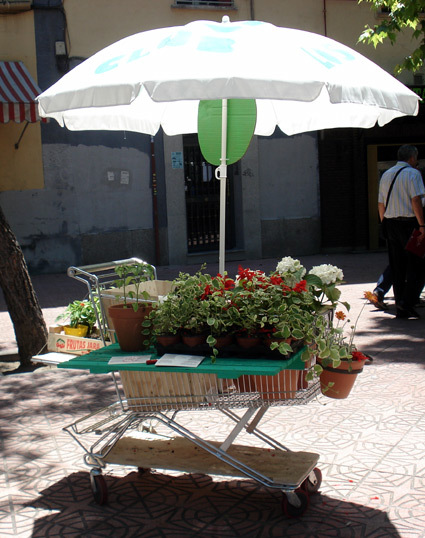 Mobile planting stations visited the neighbourhood, playground and street corners surrounding of Matadero to ask residents for the assistance. 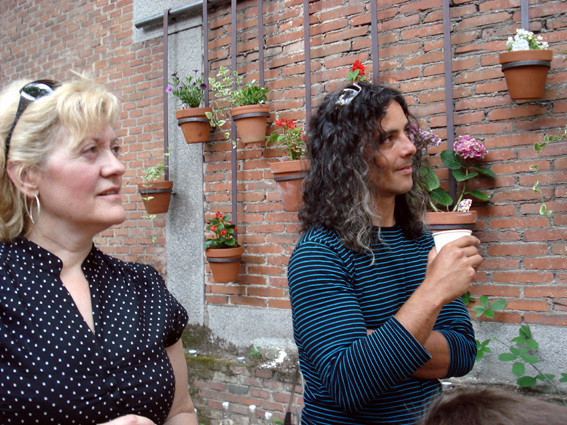 The garden the neighbours collectively planted was then arranged by the artist into a hanging garden similar to traditional gardens found in the south of Spain. Neighbours were invited to help care for the garden all summer long and once autumn came a closing party was held to rehouse all the plants. 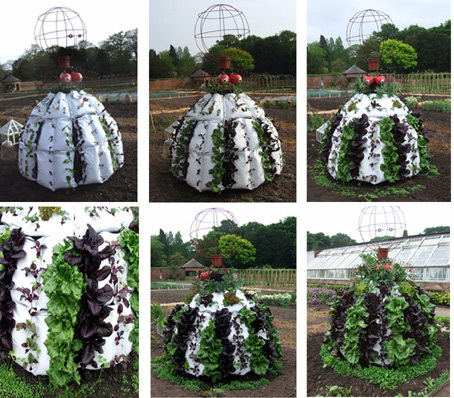 Kitchen Goddess was situated in the kitchen gardens of Tatton Park within the vegetable beds. She grew 15 different types of vegetable including lettuces, radishes, chives, tomatoes and hot chillies in her breasts! Planted in the springtime, and in September the vegetables were harvested and eaten by passers by in a special lunch party. Special thanks to Philip Swift, Knutsford Allotment Society and Ray Hartley.